Sustainable Food Systems means accounting for the full cycle of the food we eat—considering how it is grown, harvested, packaged, transported, and then disposed of—and asks the question: is what we’re eating good for our bodies and the planet? – that UCLA has three drop-off points for community supported agriculture (CSA) boxes? Learn more here. – about the benefits of a more plant based diet? Read a guest article from Professor Dana Hunnes, PhD, MPH, RD on Meatless Mondays, protein content, and more. 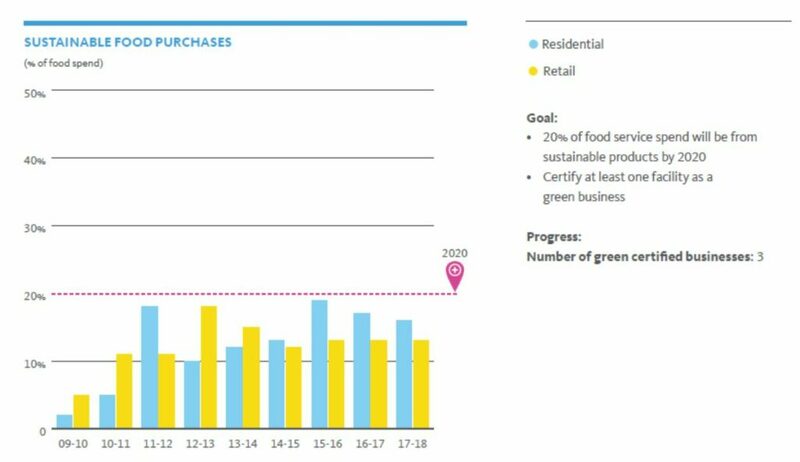 Policy Target: 20% sustainable food purchases by 2020. Learn more about Housing & Hospitality’s Dining Services sustainability initiatives. Read the 2015-16 Foodservice Report below for detailed initiatives for each provider.